Arrive in Delhi airport and then you will be taken to the hotels. The entire day will be kept free and you can enjoy the city life, shopping malls. 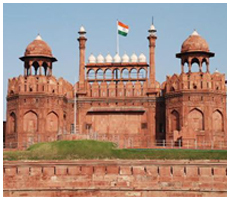 In the trip schedule the evening of the first day will allow you to move freely in the city and you can experience the daily life of India's state capital Delhi. Early in the morning you will be taken to the airport for the flight to Varanasi. After reaching Varanasi you will be transferred to the hotel. 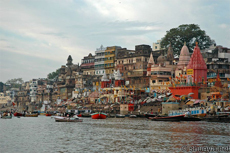 In the afternoon you will be taken to the local holy ghats of the Ganga. Varanasi is pullulated with various Hindu temples. Your entire afternoon will be spending by visiting these pious places. 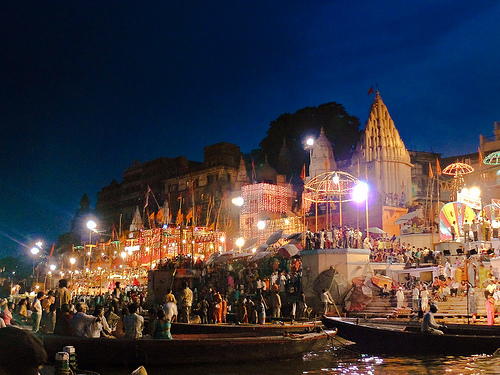 In the early morning you will be taken for the boat ride to experience the life of Varanasi. The beautiful Ganga and the human habitat on the two banks will surely make your day a memorable. After completing the breakfast you will be transferred to the airport to board the flight to Khajuraho. After check in, you will be taken to the temples. The wonderful sculpture will give you the idea of India rich history and culture. After the sight seeing you will be staying overnight in the hotel. In the morning you will be taken toward Bandhavgarh National Park by road. The national park has lots of rare animals whom you can easily locate in their natural habitat. Our representative will make the arrangements in the Tiger Den Resort. The overnight stay will make your trip more adventurous and you can experience the thrill of jungle in the night. The whole day you will you will be experiencing the interiors of the jungle and the jungle life by jeep safari in Bandhavgarh National Park. After having breakfast you will be taken to the Kanha by road. Kanha is one of the famous and largest National Parks of the country. 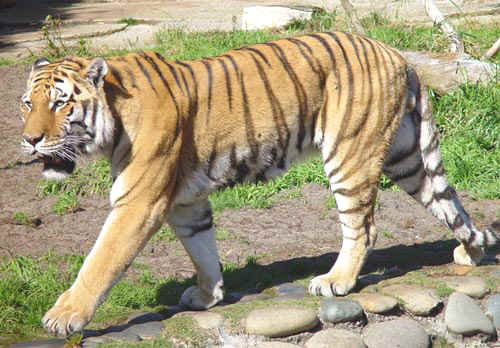 Kanha is famous for its tiger reserves and you can see maximum tigers in the park. They are kept in their natural habitat and they are carefully observed by the authority. Not only tigers you can spot other animals and birds and Kanha and its stay is a treasure that you will cherish in your life. You will be staying overnight in the jungle lodge and can easily experience the nightlife. Next morning you will be taken for the jeep safari and you can easily locate the animals. Wildlife photographers have a delight as they can take pictures of animals in their natural habitat. After an enjoyful day you will be taken to the Kanha jungle lodge. In the early morning you will be taken to the Jabalpur railway station to board the overnight train to Agra. After arriving Agra you will be taken to the hotel to check in. 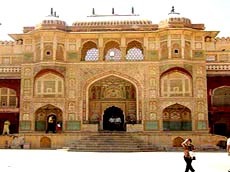 in the afternoon you will be taken for the city tour; Taj Mahal, Agra Fort, Fathepur Sikri and Dayal Bagh are the well known historic sights in Agra. In the early morning after breakfast you will depart for Ranthambore. Ranthambore is famous for tiger reserve. 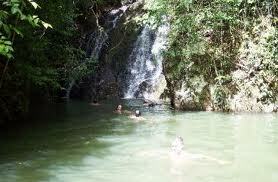 The overnight stay in the jungle resort will give a wonderful experience and will add thrill to the trip. In the Ranthambore there will be arrangements for the jeep safari that will give you the chance to spot the jungle flora and fauna very closely. In that day you will be staying in the Ranthambore jungle lodge and can enjoy the bonfire in the midst of the jungle. 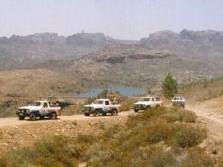 After the early morning safaris you will be transferred towards Jaipur by road. After arriving Jaipur you will be taken to the hotel for the check in. in the late afternoon you will be taken in the days of history . The Hawa Mahal, Palace and Jantar Mantar will make the trip a worthwhile. After break fast you will be taken to the Amer fort for elephant ride. In the evening you will depart for Delhi and there you will check in the hotel of your choice. Stay in the hotel for overnight. In the last day after having breakfast you will have an entire leisure day and then later to the airport to board respective flights to homeland.